You can have a great training program, the best equipment, a perfect nutritional plan, an ideal rest and sleep schedule, and the most positive attitude in the world, but it will all be largely if not totally wasted if you do not use good exercise technique. In order of priority, exercise technique comes BEFORE program design. Over the years, hundreds of thousands of people, if not millions, have been forced to give up weight training because of pain and injuries caused by using faulty exercise form. 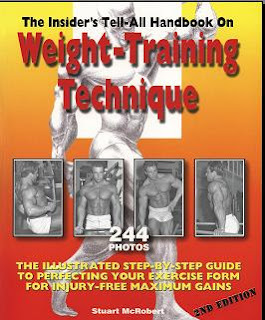 But apply what you learn from this book and you will be able to train safely for a lifetime. Though it may seem unbelievable, gyms are usually terrible places for learning about good exercise form. You need to be knowledgeable enough so that you can take full responsibility for your training. hat is where this book comes in. Read – Grasp – Apply – Persist – AC H I E V E !